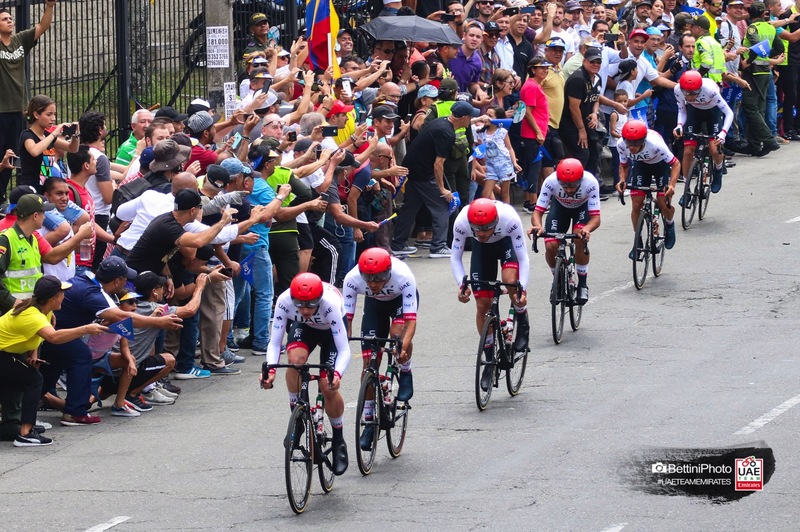 The UAE Team Emirates began the Tour Colombia with a fifth place. The team, directed by Joxean Matxin, needed 15’41” minutes to cover the 14km city stretch in Medellin. The riders went just 34 seconds slower than the winning team EF Education First with new race leader Rigoberto Urán. The time over the distance saw the team average 53.560km an hour – not fast enough to clock a time of 15’07” minutes set by Urán’s team. 2 Daniel Martinez (Col) EF Education First s.t. 3 Lawson Craddock (USA) EF Education First s.t.